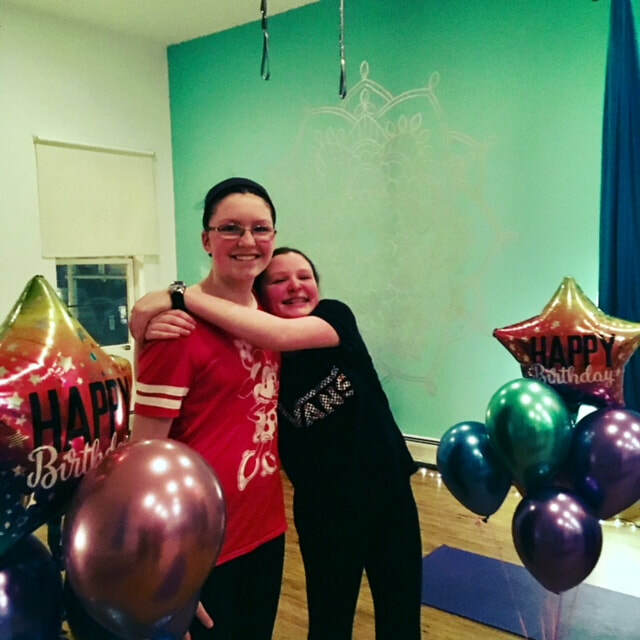 Does your child or teen have a birthday coming up? 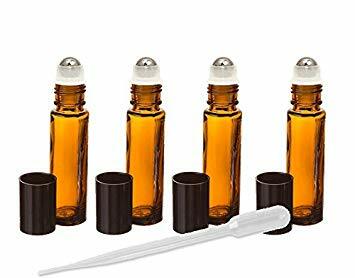 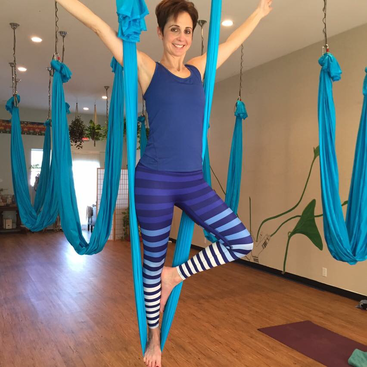 Looking for something different and fun with tons of health benefits? 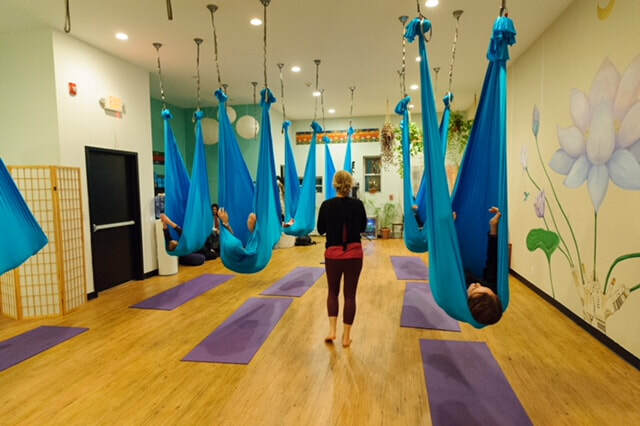 for a special aerial yoga celebration! 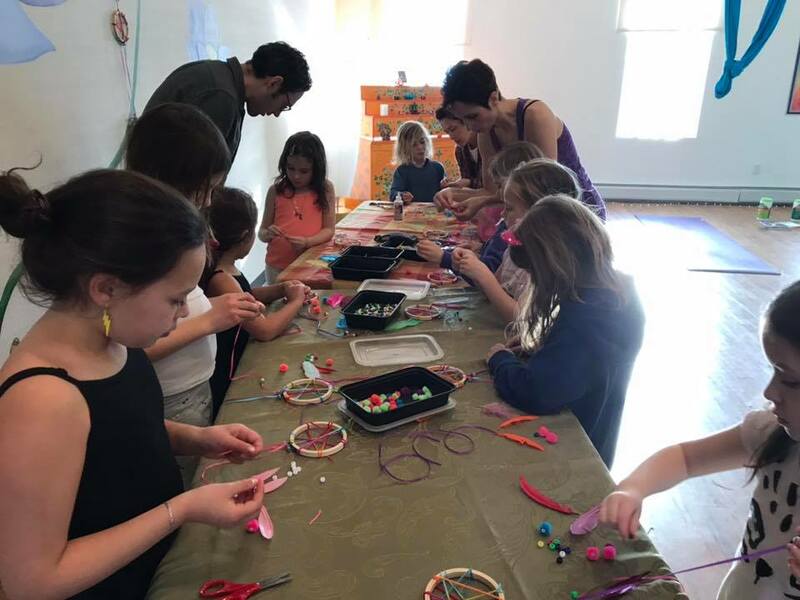 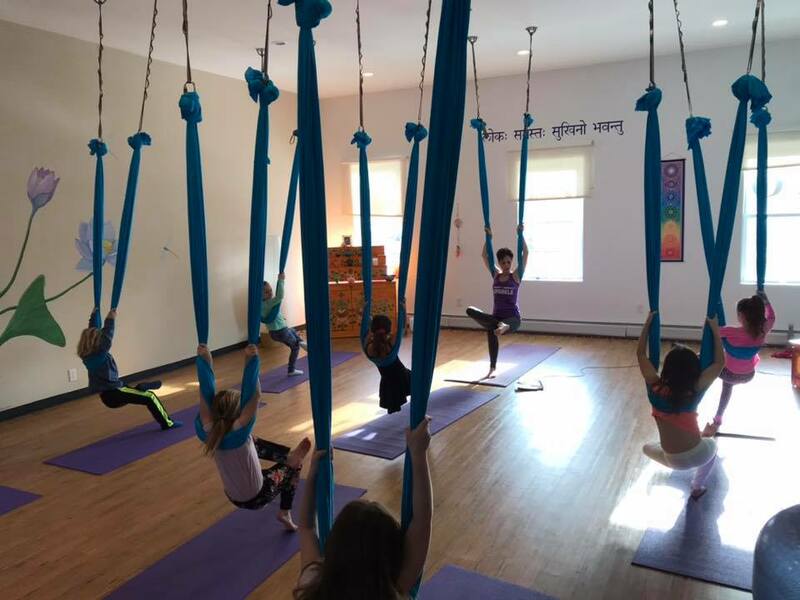 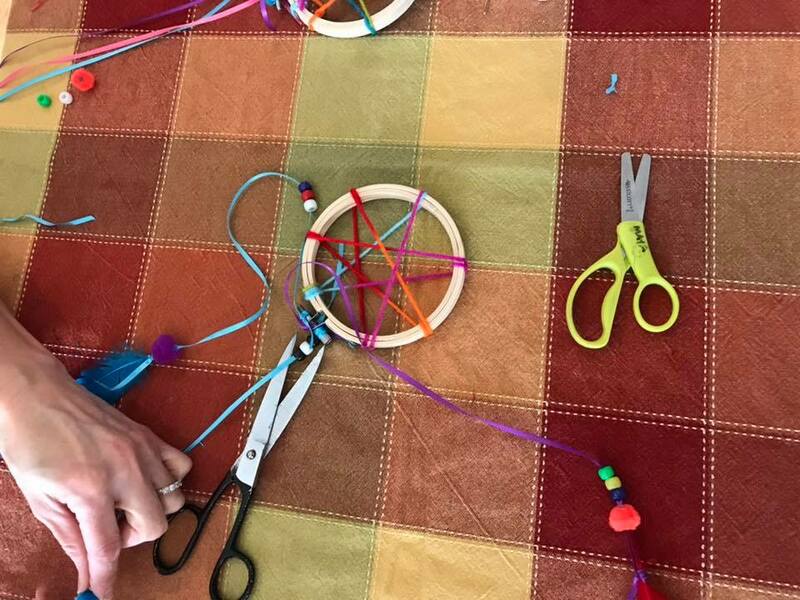 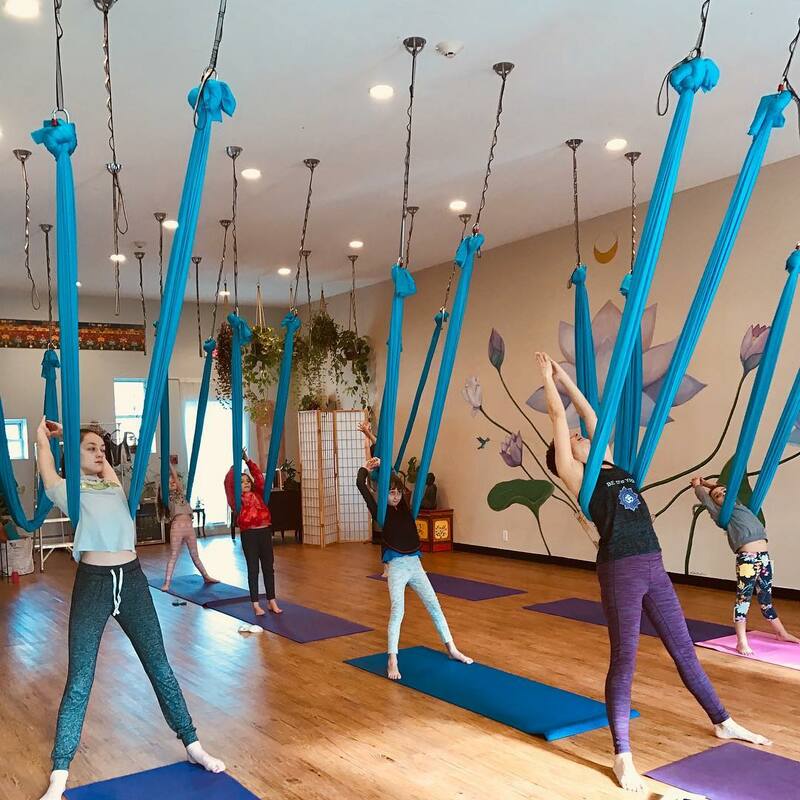 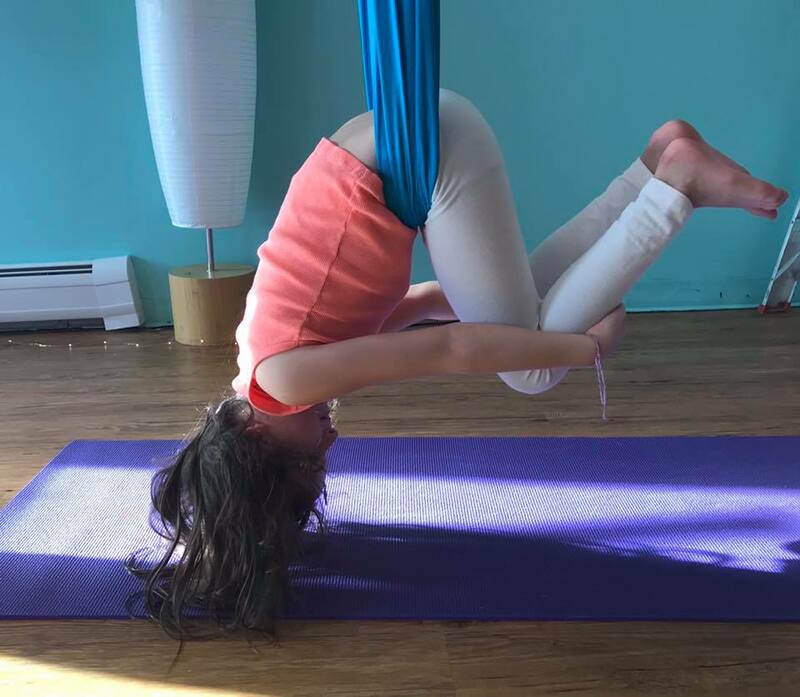 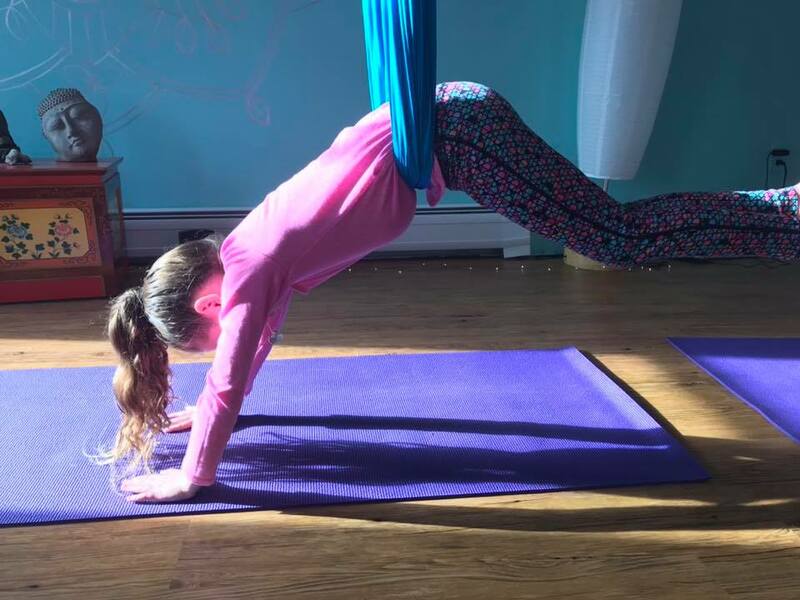 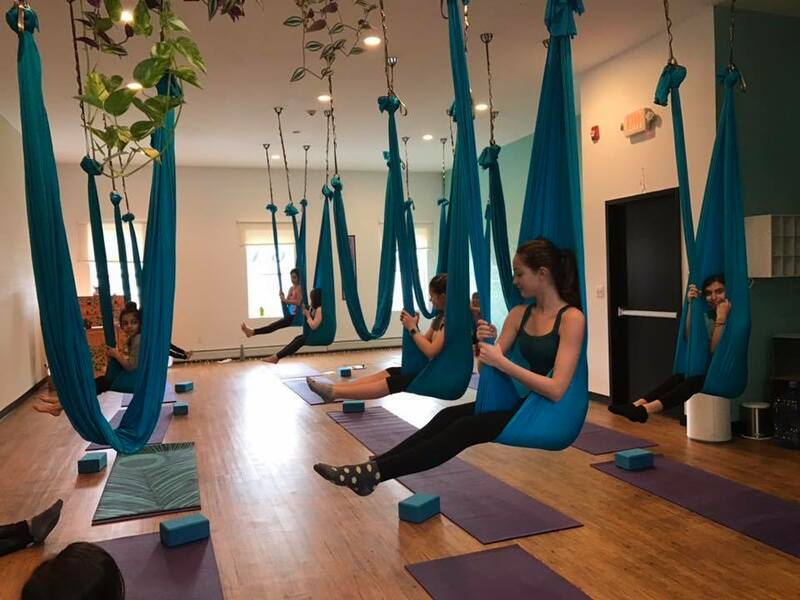 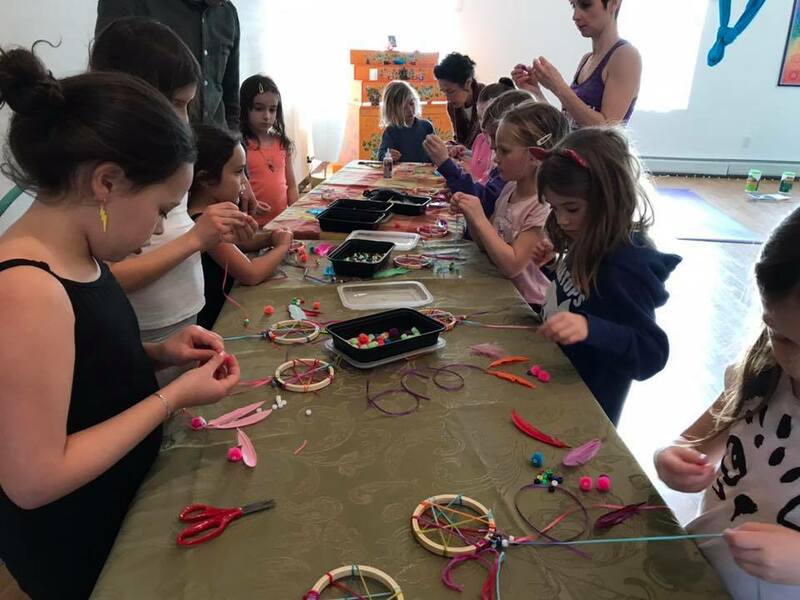 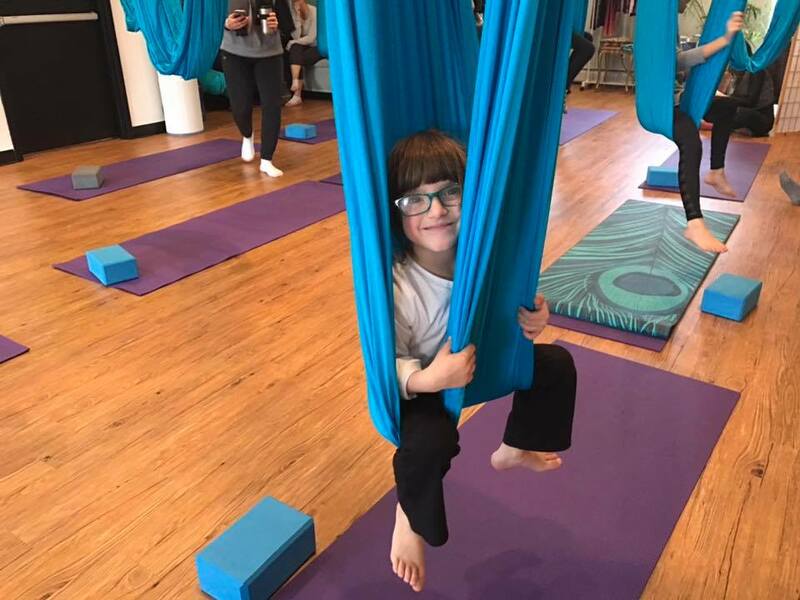 Children and Teens ages 7 and up will enjoy a variety of poses, group activities, flying, floating, and inverting in an aerial yoga hammock with his/her closest friends. 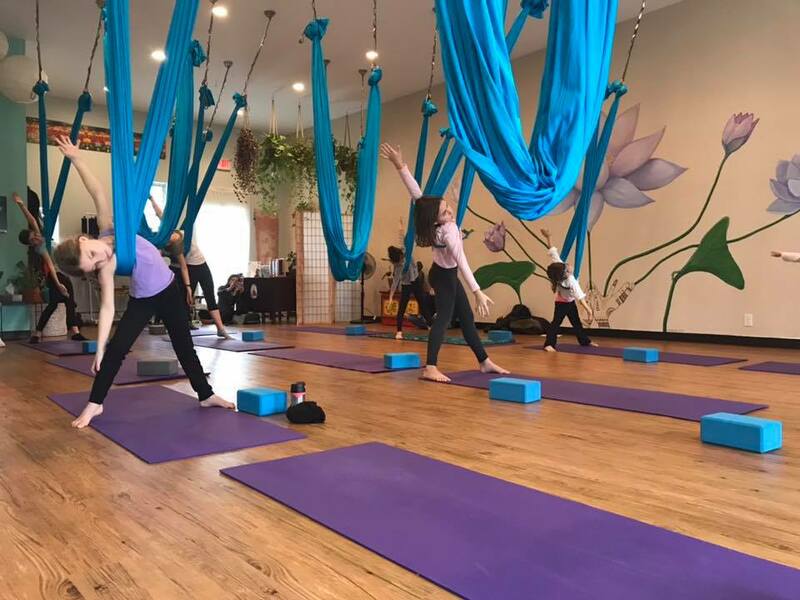 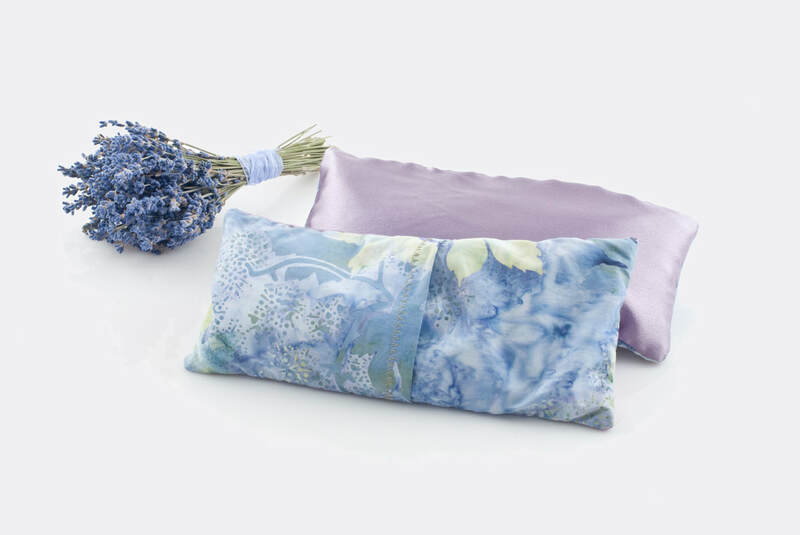 Deluxe Package Class consists of 60 minutes of yoga, 15 minutes of a craft or activity and 15 minutes of cake/cupcakes. 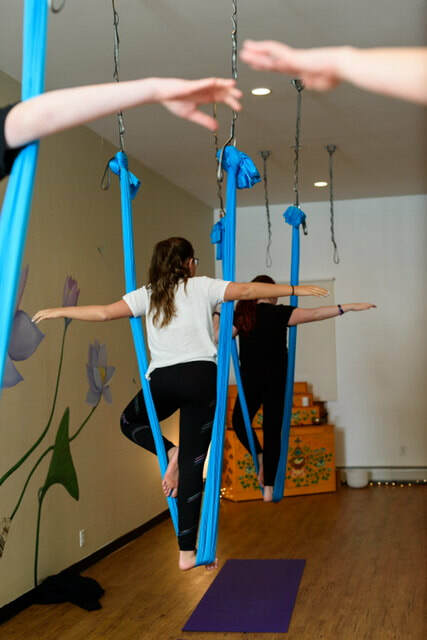 It’s the perfect combination of movement, engagement and celebration. 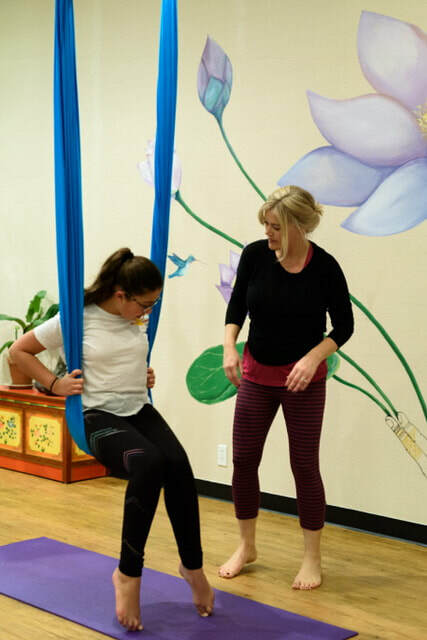 Everyone is sure to leave with a smile! 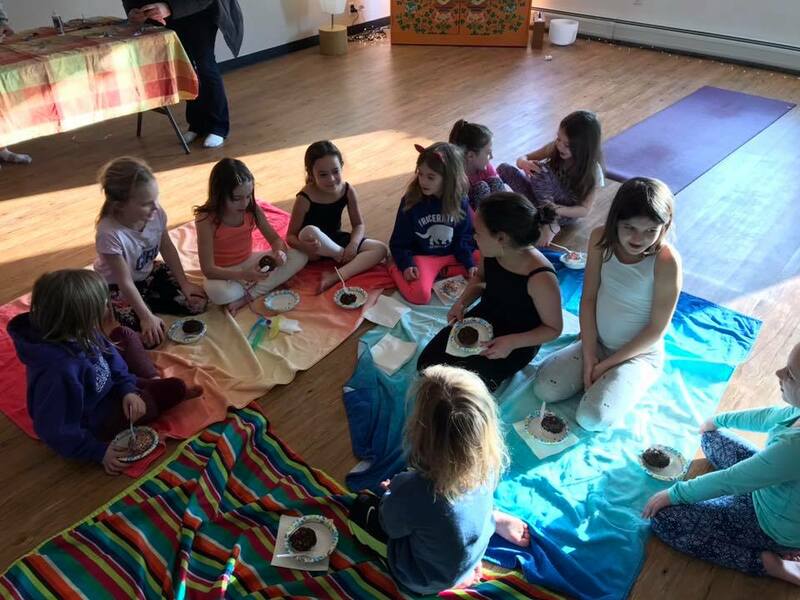 ~ Creating a small "mind jar"
*Parent's may choose to bring cake/cupcakes (with candles, plates, & utensils) to the party. 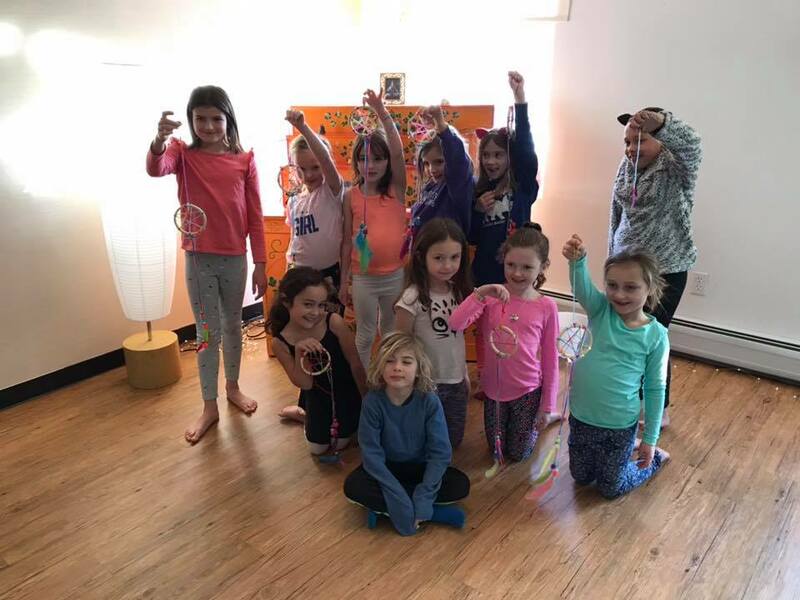 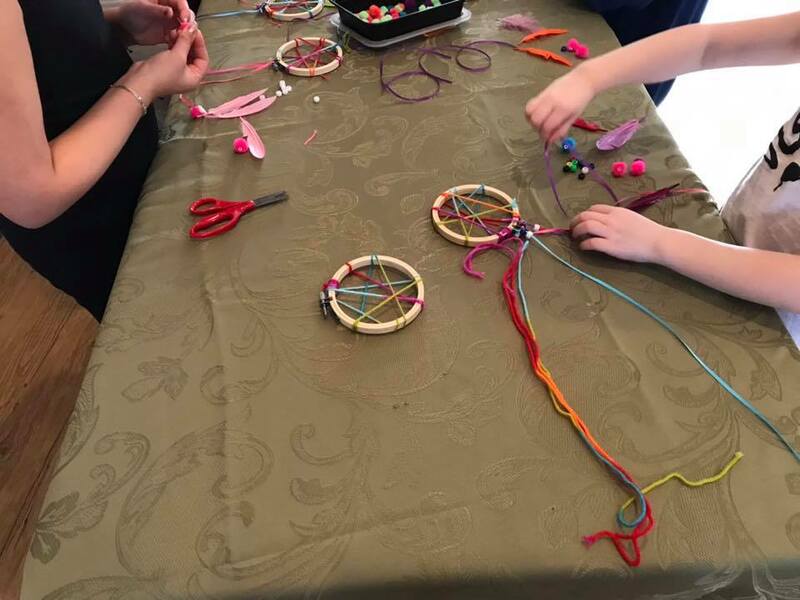 *Contact us to inquire about specific dates, which teacher you would like to request, which package your child would like, and we will determine a quote. 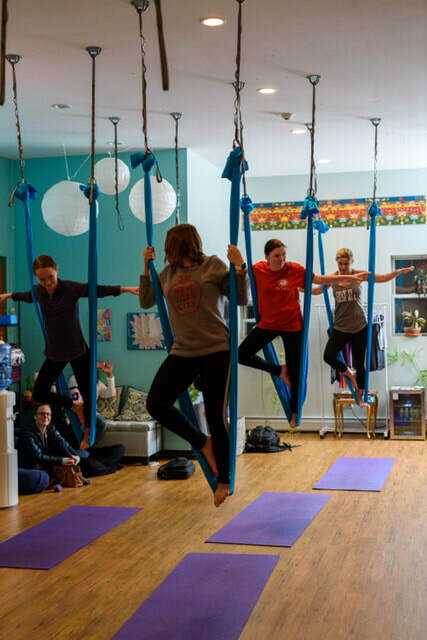 Michele received her Aerial Yoga Teacher Training from Good Karma Studio in Albany, NY. 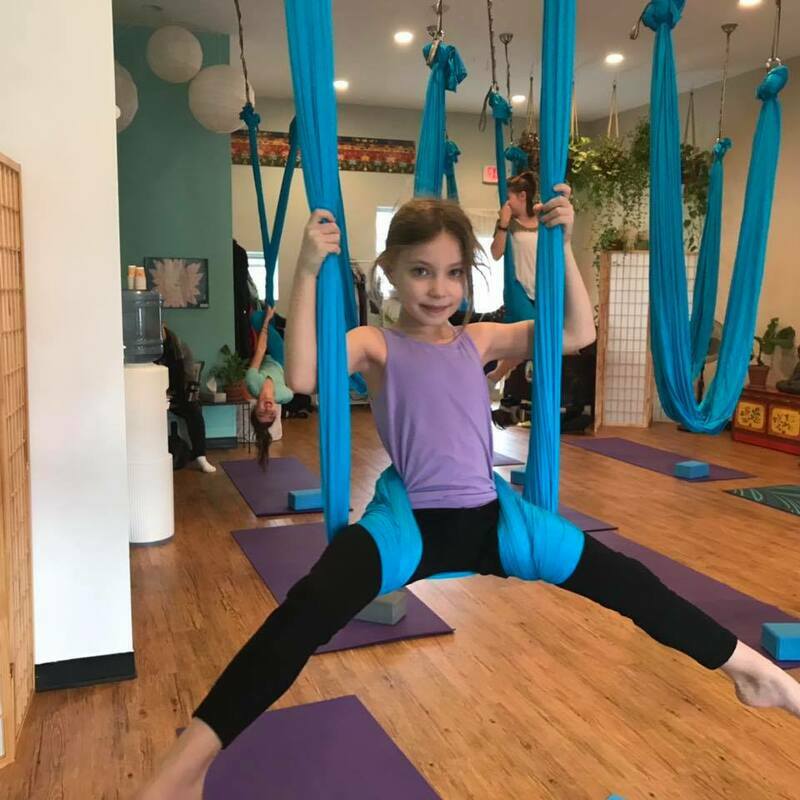 She received her 200hr Family Yoga training through Radiant Child Yoga and is certified to teach infants through senior citizens. 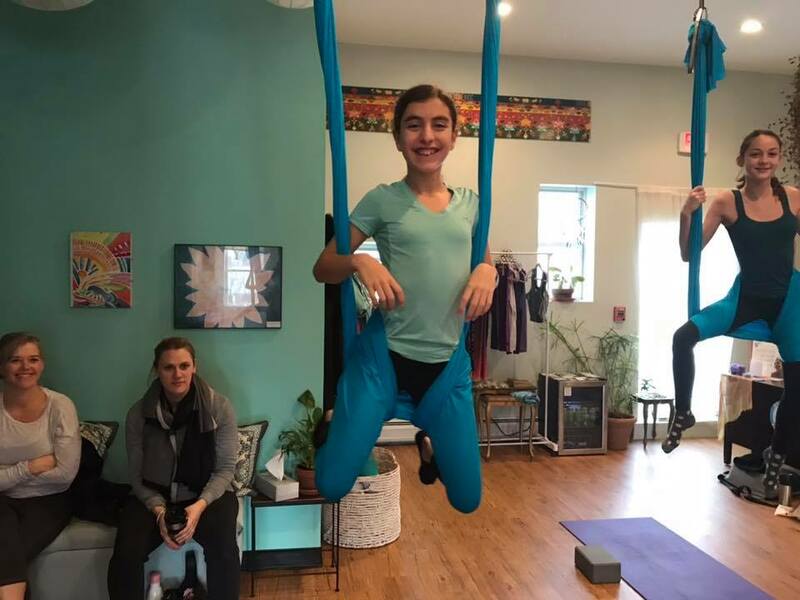 She is also a certified K-12 special education teacher with nearly 20 years of experience working with children with special needs and their families. 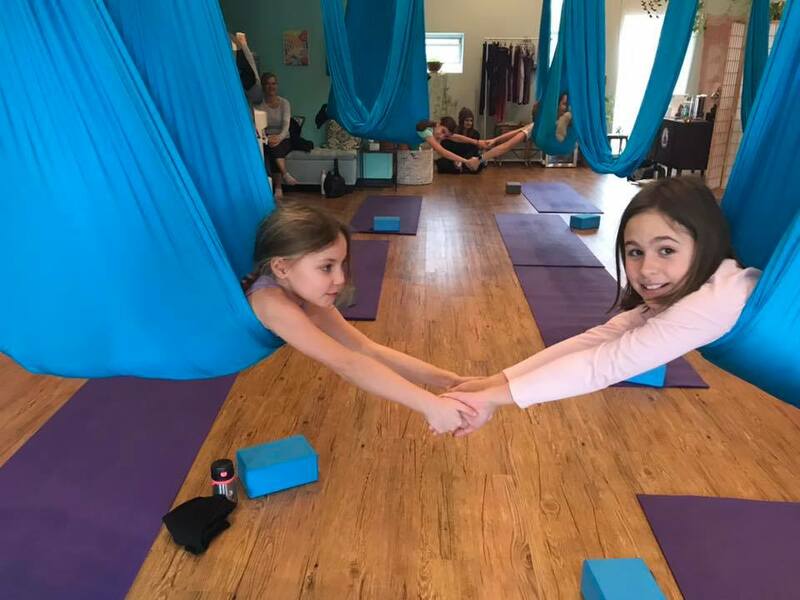 She first began teaching yoga in her own classroom and quickly realized how beneficial it was for helping children to calm down and focus. 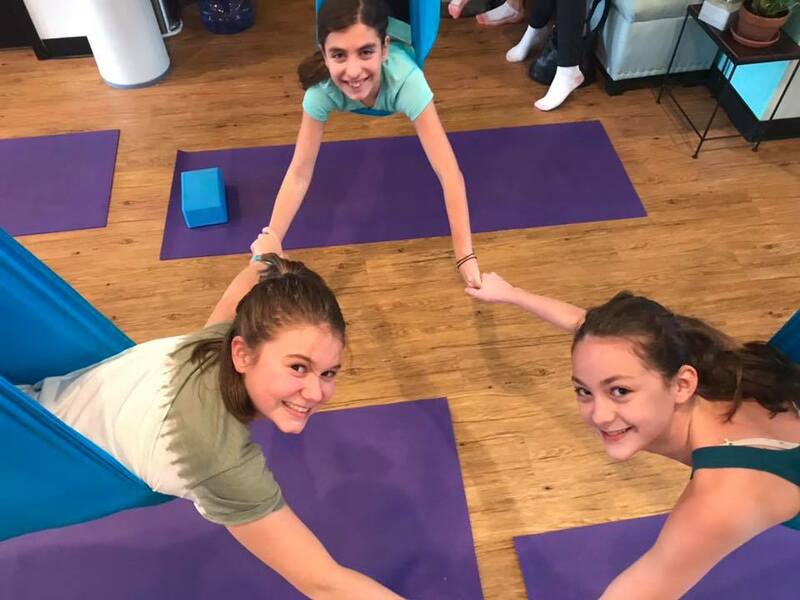 She is qualified to teach the school community how to implement yoga in the classroom setting, and leads in-services for school teaching staff. 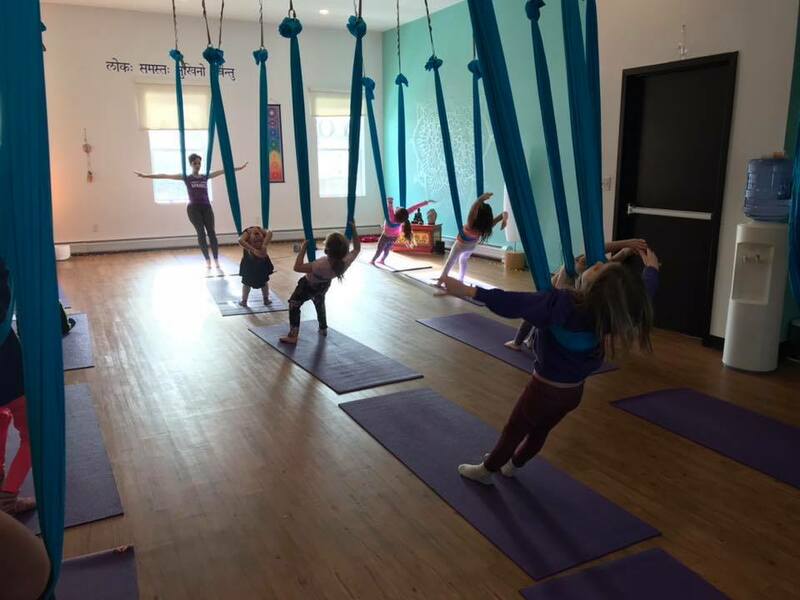 Contact us at rainbowbodyyogastudio@gmail.com to Book Your Party!